The only recently discovered Yeti Crab, long, furry appendages sticking from it that look for all the world like a sea sloth of some variety, was found during a deep-sea diving expedition in 2006, inhabiting the Pacific Ocean floor, so completely unknown to biologists that a complete new taxonomic family group had to be named to include it. 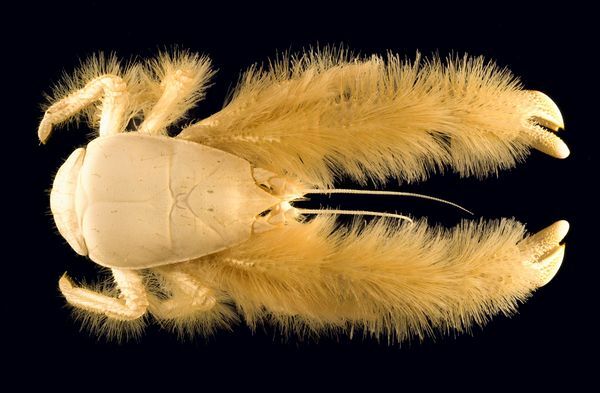 Yeti Crabs are blind and white, their fur supporting colonies of bacteria , as it thrives in the warm waters close by hydrothermal vents, 7,500 ft below the waves. 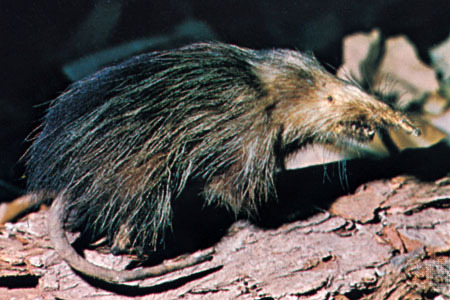 Until 2003, when the creature was rediscovered in the eastern mountains of Cuba, the Almiqui was believed extinct, by naturalists, for several decades. Belonging in the family group of the Haitian Solenodon, the Almiqui has unusual feature, among mammals, having saliva which is venomous. Not been seen since 1977, there was great delight when a farmer found a live specimen in 2003. Discovered during the 19th century, and only sighted thirty-six times in 150 years, this creature was highly elusive. The wholesale felling of rainforest decimated all Solenodon populations, and pet dogs, along with house cats, accounted for many more, though it now seems they are slowly coming back. One of the most disgusting bugs you may never actually see is the truly horrid looking Giant Isopod. 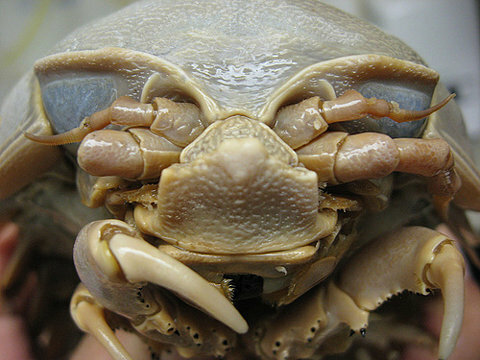 Appearing for all the world to be a real-life, pig size cockroach the isopod is in reality related to shrimp and crabs, and a crustacean. Scavengers that feast on the bodies of dead creatures , they wander around the sea floor between 600 and 7,000ft down in the oceans, feasting mainly on dead fish, squid and whale. Mola mola, as it is known in native language, but which we would call the Sunfish, is the heaviest in the world as far as bony fish go, averaging as adults 1,000 kg in weight. These behemoths exist by eating mainly jellyfish, but this nutritionally poor prey animal must be consumed in large amounts, if the Sunfish are to develop and maintain their enormous bodies. Females produce more eggs, at one time, than any other vertebrate known on earth. 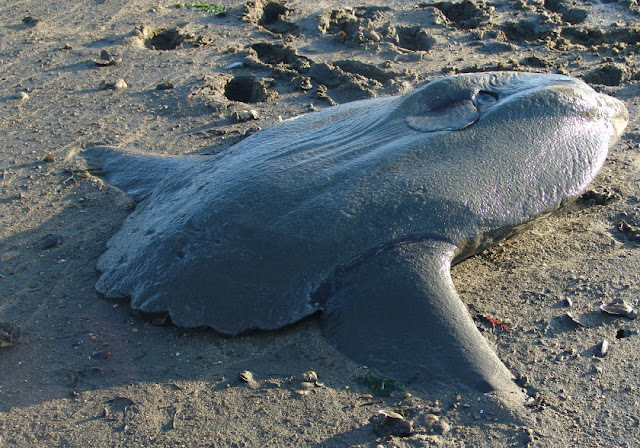 Unfortunately for these magnificent creatures, over-fishing, and a terrible proliferation of plastic waste, often consumed by them in error, causes far too many to expire prematurely, so the species is highly endangered. Long-beaked echidnas are neither anteater nor porcupine, instead being very rare, egg-laying mammals, only known to exist in Papua New Guinea. 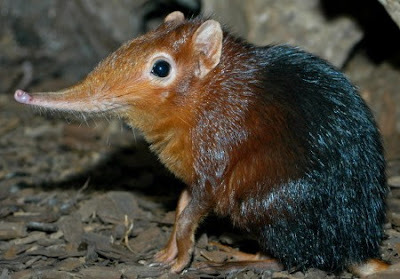 A relative of the platypus, this nocturnal creature spends virtually all its time underground, using the tubular snout in the hunt for prey such as worms or insect larvae. 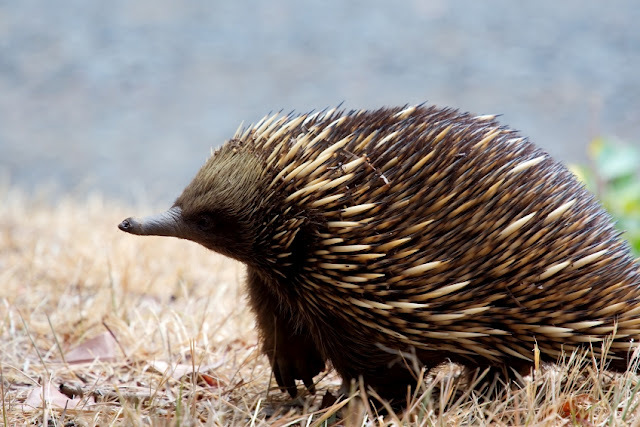 Soft foods are the only option, because the echidna does not possess teeth. Hatchlings, known as ‘puggles’, reside in a sticky pouch on the mothers underside, receiving milk from mammary patches. 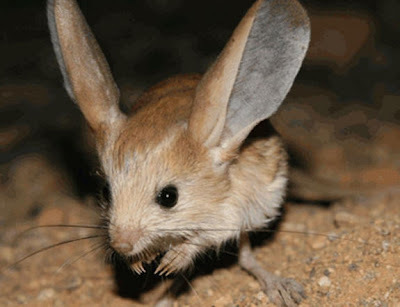 The nocturnal, mouse-like Long-eared Jerboa, shaped rather like a tiny kangaroo, employs an elongated tail, and powerful hind legs, for jumping, both as transport mode and escape mechanism. This highly endangered rodent is found only in the remote parts of the Mongolian Gobi desert, having ears 33% larger than its head, to better listen for prey eating mainly insects. It is the only species of its genus, making it not only rare but extraordinary.